I grew up Fresno, but I fled as fast as I could. With its agriculturalist roots, the local political culture was narrated through the lens of rugged individualist ideals and social conservatism. But while the social and political culture felt oppressive (especially to an existentialist queer teenager), back in 1980, the city still functioned rather well. No one went through your garbage at night and there were few empty shops, unlike the ghost strip malls that line many of the main avenues today. At 18 I left Fresno, only to return nearly three decades later with a new perspective on my hometown and the way it treats its citizens. What changed my mind is that I immigrated to Finland at age 24, finding myself at the opposite end of the world literally and figuratively. During the 22 years I lived in Finland and worked in a variety of jobs from the parks department to a social work professor, I experienced a welfare society that strove to support social cohesion through robust public institutions and mutual solidarity. Instead of each person pulling herself up by her bootstraps, everyone was included in the national health system; all mothers and babies attended the same maternal health centers. There was a high level of trust in the police and the government. When I became the representative of Finland in the European Union Project on AIDS & Mobility, I began to learn more about how European societies worked with some of the most difficult social issues, such as drug use, HIV transmission, and migration. Rather than trying to reduce drug use, Finland and other countries aimed for “harm reduction,” helping users to lead healthier lives, and to reduce the side effects of injection drug use like HIV, Hepatitis C, and bacterial infections from shared needles. In the 1980s Amsterdam and Liverpool started needle exchanges with the simple idea that if drug users used sterile syringes for every injection, then the risk of infectious disease transmission would be reduced. Needle exchanges were quickly integrated into social and health care systems in Western Europe. For a long time Americans saw syringe exchanges as enabling drug abuse. In 1985 doctors proposed a needle exchange in New York City and a clinical trial was begun three years later, but it provoked a strong reaction from law enforcement, politicians, and a Harlem city councilman, who termed the project “genocide.” Over the years, this and other studies have shown that needle exchanges reduce HIV and hepatitis infection significantly, encourage some users into drug treatment, and do not increase drug use. They have increasingly become part of public health projects despite a long-running federal ban on syringe exchange funding, which was only lifted under President Obama in 2016. When I returned to Fresno in 2007, drug use was high. By 2008 the county was sending people to drug and alcohol treatment programs—often court mandated—at twice the rate of California as a whole. 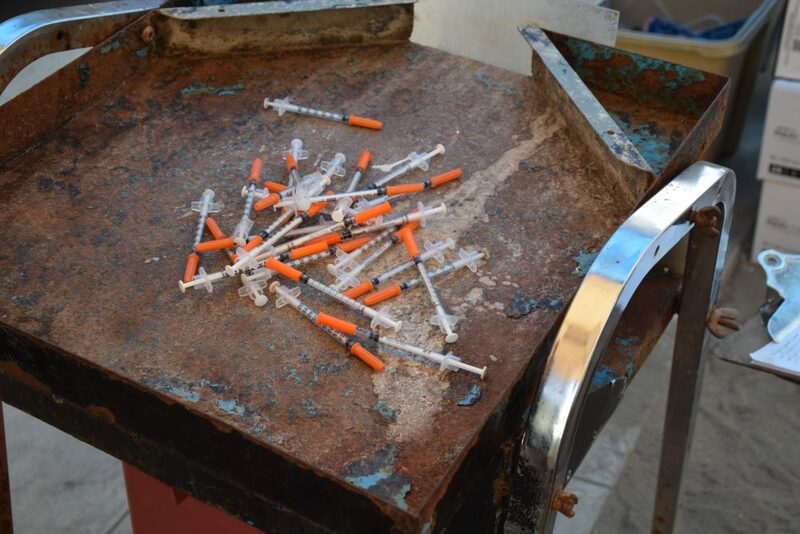 I visited the Fresno Needle Exchange, and what I found shocked me. Instead of the orderly clinics with services that I knew from Europe, a 1963 school bus housing a mobile medical clinic was parked at the side of a dead-end road and the needle exchange was on the sidewalk. Over the past 22 years, Fresno’s needle exchange has gone in and out of legality. Fresno County’s board of supervisors last outlawed it in 2011, saying it “enabled” drug use. But later that year Gov. 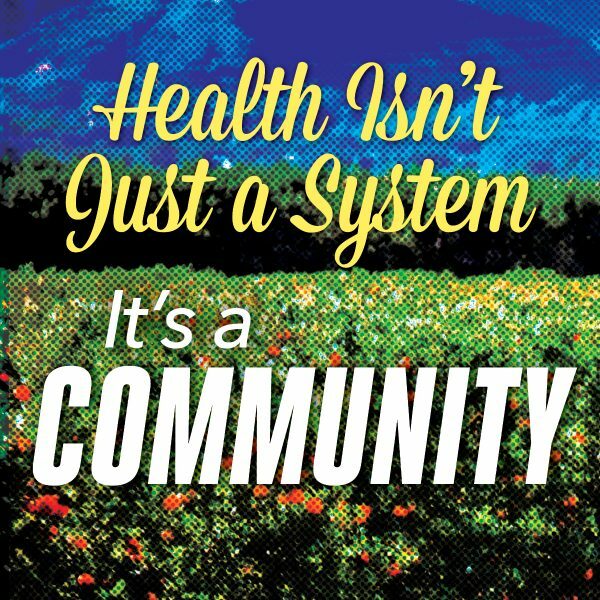 Jerry Brown signed two bills that legalized all exchanges in California, as well as permitting pharmacies to sell syringes, on the grounds that reducing the harm of needles is proven to limit the spread of HIV and Hepatitis C. The ongoing legal tussle has kept the exchange, which is staffed by volunteers, from getting a permanent home and offering more services. Still, the exchange saves Fresno money: A 2014 study found that every dollar invested in needle exchanges prevents more than $6 in HIV health care expenses. I arrived as the volunteers were setting up, and when the exchange opened, people converged from all directions. One was shoeless, another pushed a bicycle, another purred down the street in a black BMW. Here, people who spent most of their lives in the shadows of shame were greeted and helped. And they responded with real moments of contact and caring. One woman said she was proud of her son starting college, another talked about the puppy she was adopting. I saw a city that didn’t show much compassion for its drug users contrasted with a community of volunteers and users that really did care about each other. I began volunteering at the needle exchange and eventually conducted 33 long interviews with clients for academic research. I wanted to understand how people explained their path to addiction, how they found the needle exchange, and what it brought to their lives. All of my interviewees had found their way to the needle exchange through word of mouth. Here they were not treated, as a homeless woman said, as “a gutter person.” Most of the interviewees spoke about being grateful for a compassionate place that provided the information and support they needed to be safe. One woman talked about her reluctance to seek health care: “…a lot of us don’t want to tell doctors that we’re using because you get treated bad.” Clients watched out for each other and often dug deep to offer dimes and quarters as donations to keep the exchange running. Dallas Blanchard has coordinated the all-volunteer exchange for 21 years. Through humor and nonjudgmental presence, the volunteers and the doctor at the exchange created a safe space for drug users to imagine new lives. For some this first act of caring for themselves—using a clean needle each and every time they injected—led down the path to recovery. During this time, I was teaching a master’s degree class in social work at Fresno State and I learned that one of my students had come through the exchange on her way to sobriety. She said that learning to care for herself at the exchange led to a belief that she too could be somebody. Many of my informants had traumatic childhoods marked by alcoholic parents, poverty, and abuse. One woman said she started drinking when she was 10 years old because “with the alcohol I could deal with the stepfathers and with my mother’s yelling and screaming and denying and deal with the brothers and sisters I was raising and didn’t want to raise.” Another woman talked about turning to heroin to numb the mental abuse she endured from her husband. One man talked about his loneliness after his divorce and the back pain from his roofing job that led him to the needle. Yet, none of the informants blamed anyone but themselves for their situations. “It made me feel so good. It only took one time,” said one. “I’m not stopping. I can’t stop, so…” said another. A growing body of research indicates that trauma and stressful incidents may be significant factors in chemical dependency. Kaiser Permanente and the Centers for Disease Control measured significant adverse childhood experiences using a scale of 0-7 (lowest to the highest). They found that a man with a score of 6 was 46 times more likely to become an injection drug user than a man with 0. During the 20 years that I was away from Fresno, the city has changed: The population has more than tripled. Fresno now ranks last among California’s ten largest cities for life expectancy, median income, and educational attainment. Social and health services are stretched to their limits. The dominant ideology is still that people should pull themselves up by their bootstraps and face the consequences of their own poor choices. Yet, when listening to the stories of needle exchange clients, I often felt that a stronger sense of common responsibility, more vigorous efforts at prevention and early intervention might have helped to alter their life courses. My time in Finland helped me imagine an alternate Fresno, where people were not trapped in their dysfunctional families, or found the strength and means to leave an abusive relationship, or got counseling for grief after a divorce. Could more social services and a different ideology change life in Fresno? 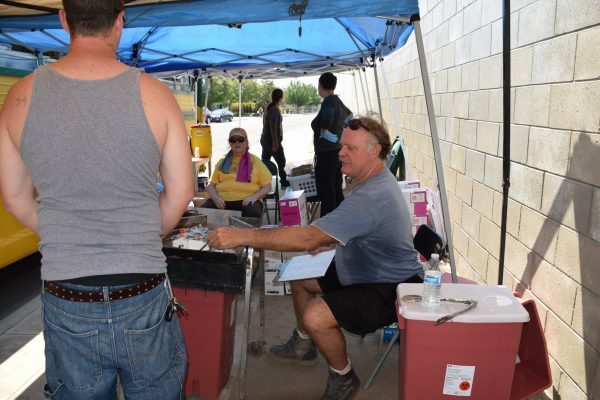 It’s clear that the space to imagine a new life can change lives at the Fresno Needle Exchange. Maybe the city could likewise start to reimagine itself as one where the tremendous energy and compassion of citizens, and their capacity to care deeply for one another is given more support, so they in turn can support the city as it grows. *All photos by Lisa Margonelli.